Father’s Day is June 17th and so now is the time to start looking for what gifts to give the favorite men in your life. Lucky for you, we have some of the best Father’s day gift options here at Gliks. Head over to Gliks.com or stop in your local store to check out their great Father’s day giftable options. Here are our favorite 5 Father’s Day giftables! With a comfortable design and breathable canvas uppers, these shoes will compliment all his cool dad looks. A good BBQ shirt is practically the universal Dad uniform. Right now at Glik’s we have so many styles and colors so you can find one that will perfectly match his personality. These shorts will be his new go-to for the summer season. These shorts are made from a hybrid material so they are great for days spent outside or in the water or both! The Yeti tumblers are a great way to maintain the temperatures of his favorite drinks for extended periods of time. Perfect for tailgating, hunting trips, or any other adventure your favorite guy has! Be sure to head to Glik’s to find the perfect Father’s Day gifts! 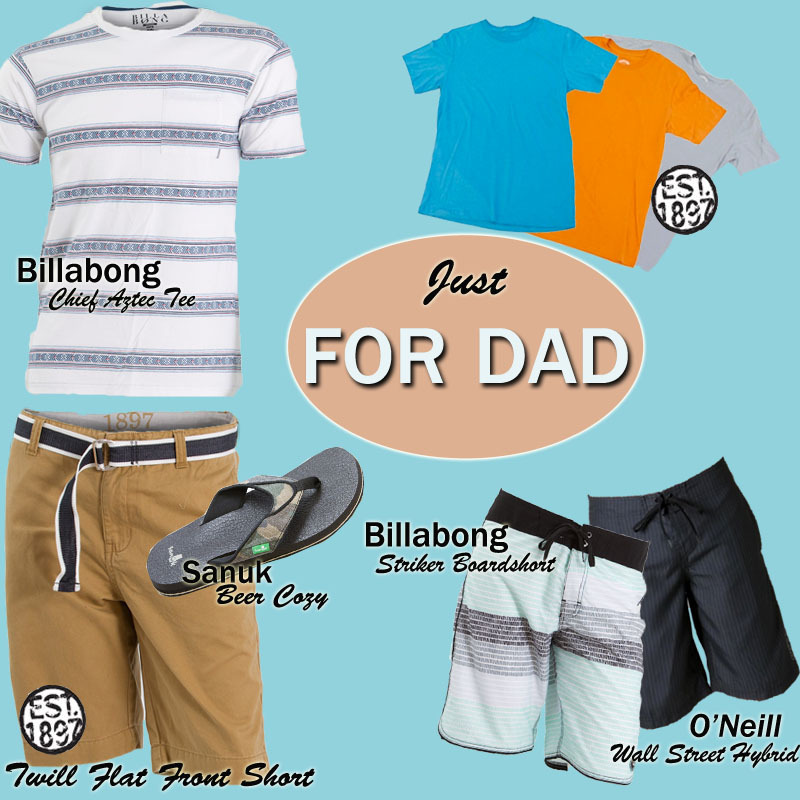 Father’s Day is quickly approaching, which means you (or your dad, or your brother, or your uncle) need a fresh look within your summer wardrobe. Novelty print shirts are the answer to your fun, fresh, unique style and are so great for summer! The button up shirts can be dressed up or worn casually, all while showing off your sense of style! We carry so many different styles and colors of BBQ shirts that you will be sure to find the perfect one for a gift for Father’s Day, or for yourself! Also a necessity for summer are flat front shorts. Khaki shorts are a staple in summer style, but why not try to branch out and get a pair of colored flat front shorts? The clean design will be super stylish while kicking it up a notch with a pop of color in your wardrobe. Flat front shorts pair perfectly with novelty button up shirts, so they definitely need to be purchased together! Check out our Glik’s exclusive brand 1897 for all of your wardrobe necessities. Head to Glik’s Official Instagram for styling tips and outfit inspiration! Another Fathers Day is just around the corner, and let’s face it, you don’t want to disappoint good ol’ dad again with another pair of boring socks, a cheesy necktie, or a sappy card. No way! This year is the year! Your pulling out all the stops, and you’re ready to surprise and delight him with a gift that conveys how much you appreciate all those years he diligently watched over you and your not-so “awesome” decisions. Want to show dad how awesome he really is? No matter what kind of style he had, here are some amazing Father’s Day gift ideas to help jump-start you in your mission for the perfect gift for Dad. Hybrid Shorts: You heard right. Whether he is on land or in the water with the fam., a pair of hybrid boardshorts is just the right thing to keep his simplistic style in check. No muss or fuss necessary. Hybrid shorts are made of the same material as regular boardshorts and provide the same function, but they look like a regular short. There is no need to change when going from water to land; all he needs to do is throw on a comfy tee and off you all go! Printed Tees: Dads are hip and cool. They wear t-shirts from brands that represent their hobbies and interests. If dad is a fan of moto sports then a tee from Fox Racing will be right up his alley. If he is a casual fellow then brands like Hurley, 1897, and Billabong have casual prints or basic solid colors just for him. Shorts: Keep it simple, just like your dad. It’s hot out, and I am sure he would appreciate an updated style on a classic pair of shorts to wear while out golfing with the guys. My suggestion would be a pair of twill flat front shorts from 1897 denim. Boardshorts: Dad is an active man. He likes being outdoors doing manly stuff and is a sucker for water related activities. That is awesome! Update his (maybe) outdated boardshorts! A little color and graphic flare never hurt, especially if amazing comfort and top-notch functionality is at play. Flip-Flops: No harm, no foul when flip-flops are involved. A sure way to a dad’s heart is though food, chores (done right) and something comfortable. I would aim my sights at his feet. Make them happy with a pair of comfy flip-flops, like the Beer Cozy from Sanuk. They even have camo for the dads who like to hunt. Every dad is special. So show him how much you care with a great gift for Fathers Day! Be sure to look for any of these great gift ideas for dad online at gliks.com or visit a Glik’s store location nearest to you!